Isabel Wilkerson devoted 15 years to the writing and research of The Warmth of Other Suns. She interviewed 1200 participants in the Great Migration to meet the three main characters whose lives bring us into the brutality of the Jim Crow south and the courageous migration to parts unknown. Each of the characters migrated in a different decade. Both of Isabel’s parents were part of the Great Migration as well and met in DC–so perhaps you could say that she has been working on this book her entire life. Isabel came to the project after many years as a reporter with the New York Times where she was head of the Chicago bureau and won a Pulitzer Prize in 1994 for Feature Writing. I think you will enjoy hearing Isabel talk some about the research for the book and Ida Mae Brandon Gladney, George Swanson Starling, and Robert Joseph Pershing Foster. Hope you are enjoying the journey of The Warmth of Other Suns. Reminder: Our conference call with Isabel Wilkerson is on Sunday, July 13th at 7 pm. The call in number is (805) 399-1200 and the passcode is 767775#. “It was during the First World War that a silent pilgrimage took its first steps within the borders of this country. The fever rose without warning or notice or much in the way of understanding by those outside its reach. It would not end until the 1970s and would set into motion changes in the North and South that no one, not even the people doing the leaving, imagined at the start of it or dreamed would take nearly a lifetime to play out. Historians would come to call it the Great Migration. It would become perhaps the biggest underreported story of the twentieth century. It was vast. It was leaderless. It crept along so many thousands of currents over so long a stretch of time as to be difficult for the press truly to capture while it was under way. “The development of the entire country has been affected by the Great Migration of African Americans from the South to cities of the North and West. During slavery enslaved Blacks attempted to escape to freedom on the underground railroad, and for the first three quarters of the twentieth century the “Overground Railroad” was the means to escape the unyielding oppression, brutality and violence of the south. I am a Harlem physician and reading The Warmth Of Other Suns has helped me understand some things about the lives of my older African American patients that I could never have learned from a medical text. I have been having more conversations with them about which southern state they are from and how they arrived in New York City. Some have told me about horrific experiences leaving irreparable wounds. One, an older gentleman who was born in 1934 in Charleston, South Carolina, left at age 18 following his older sister who had obtained work as a live in maid at a home on Long Island. He described the daily fear of crossing a line by simply walking down a street that you were not supposed to walk down. Reading this book has also made me reflect on how the Great Migration directly affected my life. I was born, grew up and went to medical school in Philadelphia. My grandparents, great aunts and uncles migrated to Philadelphia from Florida in the 1940s. Gladys Sparks, my maternal grandmother who could not read or write, came from a rural area outside of Jacksonville. Adell Edith Chandler, my great aunt who inspired me to become a doctor and her brothers, one of whom became my grandfather, were from a farm area, Quincy, Florida. 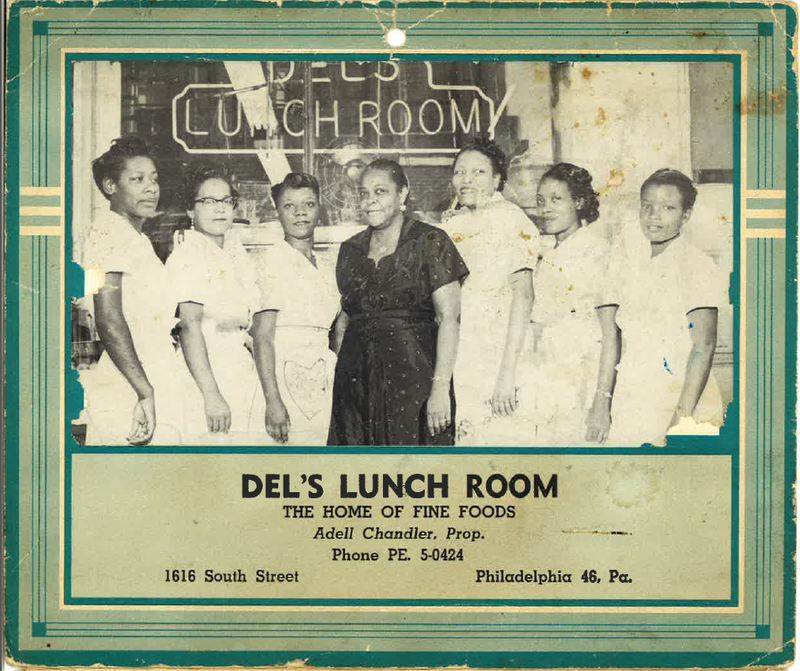 The Chandlers went into the restaurant business and Adell owned and operated Del’s restaurant in the Black community of South Philadelphia. They all came North in search of freedom and a better life. As Isabel Wilkerson chronicles, this Great Migration “would transform urban America and recast the social and political order of every city it touched.” She uncovers the geographic and the spiritual landscape of the journey. The book explores in depth the lives of the people who left the South, why they left, what they found and how they lived after arriving in the North and West. It is very richly researched and beautifully written. REMINDER: Book Club Conversation with Isabel Wilkerson is Sunday, July 13th at 7 pm. The call in number is 805 399-1200 and the access code is 767775#. Hope you are enjoying reading The Warmth of Other Suns. I would love to hear your thoughts, favorite sections, things you are experiencing and thinking about as you read. Shoot me an email at cathy.stewart5@gmail.com or leave a comment below. Sunday, July 13th at 7 pm.